Our Halloween offerings for this year have new additions: a Halloween table setting with disgusting soup and poisoned wine, an add-on consisting of a head soup, a floating while sitting animation, and a rezzer script for the Halloween table with some twists (allows floating table settings and playing macabre sounds when rezzed). Promotional price is valid until Monday, and the script is 50% off for one full week. Click here for your taxi! The script is a rezzer with twists that will let you have your props float, play a sound, leave one of them as decoration when no one sits, and having the props change and float if needed as sitting avatars change the animations from the AVsitter menu. Included two full perms particles scripts and a C/T particles texture that works with our Halloween table setting. You can adapt them to your own creations as well. Sound clip included is C/T. 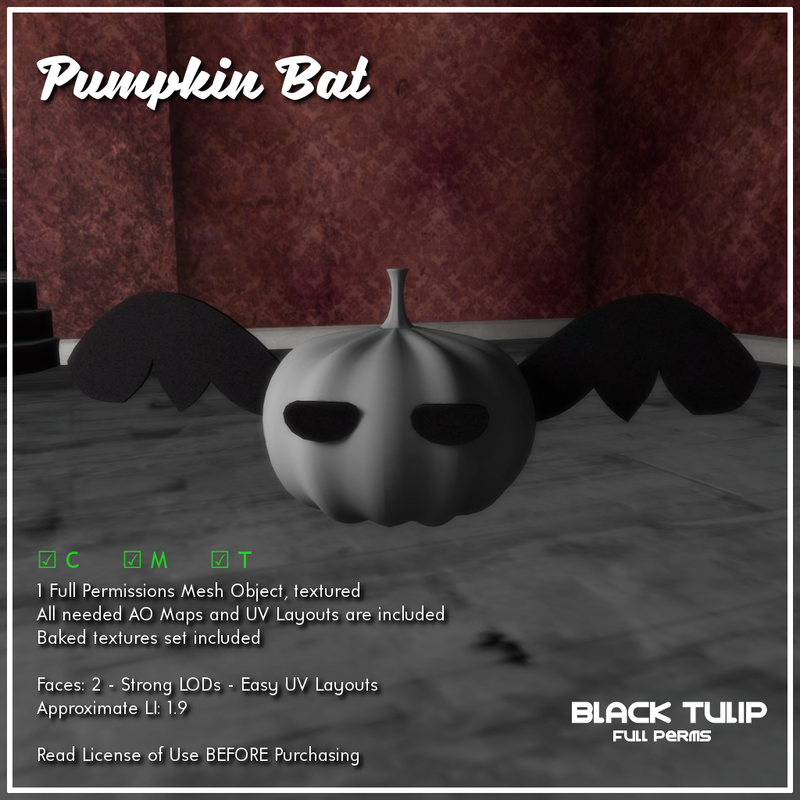 Besides this, we have a new group gift: The silly Pumpkin-Bat, available only for group members.